The drug and the music evolved together over years, making EDM a radically different culture today than it was when it started. We don’t know much about Meredith Hunter other than that he killed the American Hippie. We know that his friends called him Murdock, and that he was 18, and that there were three weeks until the last day of the 1960s. 300,000 people had gathered at the Altamont Raceway Park near San Francisco for Woodstock’s Pacific reincarnation, but of the increasingly violent masses, he was the only one who stormed the stage with a gun, and the only one who was stabbed to death by a Hell’s Angel. Today, we know Hunter mostly in the context of his death, but even there he’s just a metaphor. In the rise-and-fall narrative of hippie culture, he is simply the Altamont tragedy, and Altamont is known as the day the music died. In his reflections on the recent anniversary of the September 11th attacks, John Cassidy discusses the human “saliency bias”—our habit of forming memories around jarring events rather than, say, a series of minor incidents whose impact nets about equal. This mechanism explains how and why history can link a generation’s implosion to one day at the end of the decade. For both sides of the culture, the tragedy’s gruesome rawness gave legitimacy to the concern that peace and love were quite literally killing the country. Consider Olivia Rotondo, whose by-all-accounts-normal life suggests that her death could have happened to anyone. Four hours after tweeting her excitement about the Electric Zoo Festival on New York City’s Randall’s Island, she collapsed in front of a paramedic, saying the seven words that in the weeks since have become a macabre Exhibit A in the campaign against the drug that is said to have killed her. She died that night. Jeffrey Russ, a 23-year old also believed to have taken MDMA (the drug’s proper name) had passed away 18 hours earlier. The following day—what would have been the grand finale to the three-day gyration of 100,000 neon-clad ravers—Randall’s Island was deserted and silent. Since it first plugged in its equipment five summers ago, Electric Zoo has marked the end of the annual electronic festival season in the United States, the centerpiece each year of one of the country’s most mainstream and lucrative new artistic industries. In 2012, electronic dance music (EDM) spawned eleven platinum hits and increased the population of Miami by one quarter for one of the biggest American musical events since Woodstock. It has repackaged and commoditized the two-decade-old EDM mantra of “Peace, Love, Unity, and Respect” (usually abbreviated to “PLUR”) that apparently captures what this whole vision, with its bass drops and Day-Glo campiness, and a certain synthetic chemical stimulant, has always been about. 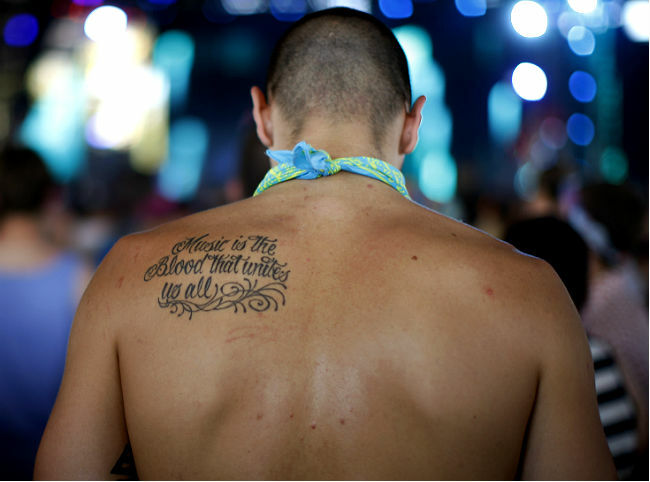 It’s too soon to tell how the Electric Zoo tragedies will influence the cachet of either the music or MDMA use in America, though many believe they go hand-in-hand, to such an extent that it’s hard to determine exactly which came first. It’s not hard to understand why. “Rolling,” as the new ravers call the high, is a state of prolonged euphoria, intimacy, and kinesis: the conditions encouraged by a pulsing beat, a rococo of colored lights, and a setting that makes rubbing up against dozens of people tough to avoid. The drug makes the music better, and vice-versa. In spite of efforts to commercialize the scene, or perhaps because of them, this truism remains the genre’s core. America is at its core a Puritan country, which almost certainly explains why the use of mind-altering substances has never caught on as a religious thing. In this regard, the country is an outlier of a 12-millennia-long tradition that confirms two truisms: People do drugs to get high; and people get high because, well, it’s enjoyable. The habit of shifting one’s mental state is surpassed in antiquity only by the supreme habit that first compelled it: Religion itself, in some form or another. “When God saw that people, instead of turning to God, were turning to the medicine cabinet, God made himself available in the medicine cabinet,” Rabbi Zalman Schachter-Shalomi, a figurehead of the Jewish Renewal movement who dropped acid with Dr. Timothy Leary in the 1960s, once said. Like most other drugs that come from labs rather than leaves, MDMA was first a Cold War thing. In the early 1950s, five centuries after German chemists patented and then briskly forgot about methylenedioxymethamphetamine, the United States military began researching psychotropic MDMA, LSD, and other drugs as means of puppeteering suspected enemies’ minds. The real godfather of the drug, though, is a man named Alexander “Sasha” Shulgin, a quirky psychopharmacologist from Harvard who began synthesizing and self-testing MDMA in the backyard of his California home. He gave MDMA a ringing scientific endorsement, and a few years later, it started showing up in Dallas’s gay clubs—people were calling it “Adam.” This was the early '80s, and disk jockeys were beginning to understand the capacity of the synthesizer to electrify its audience. By the summer of 1985, when the government classified MDMA as a Schedule 1 Controlled Substance—those with high abuse potential, no accepted medical function, and a possible 15 years for possession—Adam was now Ecstasy, and both the music and club experience had grown extravagantly fast. In the chicken-or-egg question of causality, most point to the high. By the late '80s, the term “rave”—which comes from the French raver, “to show signs of madness or delirium”—had come to apply to the nocturnal congress of Ecstasy-fueled souls, a subculture as tactile as the hippies’ had been. In the rave-filled United Kingdom, 1988 was known as the Second Summer of Love. Equipped with MDMA, the club haven Ibiza became a Mecca, whose drunk driving rate plummeted because people felt that boozing killed their roll, Dr. John H. Halpern, an expert on the drug, told me. And in Manhattan, the incubator for any emerging American fad, club owners enforced the nexus of dance and drug by setting up shop in back rooms. And then people started to die. It started circumstantially: For example, the fire that killed 87 in an illegal Bronx club. Eventually, though, more and more began to simply drop dead, their hearts shut down by a supposedly harmless powder. By the new millennium, the scene had grown shadier, and its kids had grown up. In 2001, a statistically successful American public campaign against Ecstasy targeted an audience that now spent their Saturdays at home, relieved and burned out. The scene died because it had been inherently-self limiting—not everyone, after all, can or wants to go to nightclubs—which also explains why a concerted public crusade against MDMA culture didn't bother assembling until essentially after the fact. The deaths occurred in one confined arena, and thus failed to elicit any sort of “it could happen to me” mindset in the popular discourse. The culture was voluntarily ditched by its members, Doblin said, after a decade of creeping exhaustion and ennui; its death was self-inflicted. In the three months since I moved to New Delhi, the Indian rupee’s value has plummeted about 10 percent, making everything, especially vices, quite cheap. A few weeks back, I paid the equivalent of $1.85 for a pack of cigarettes and just over three bucks for a movie ticket. I’d heard about an impressive new Indian film called Ship of Theseus, billed as a modern treatment of the logical paradox with which it shares its title. To condense a two-hour film or a centuries-old philosophical dilemma: Imagine that you’re named Theseus and you have a wooden ship. These ship’s boards gradually require replacement. Once every last board has been replaced, is this a new ship altogether? Or does it remain fundamentally your same boat, tethered to its original form by the fact that its proprietor—you—and its purpose—to carry you across the river—have remained constant? It gets interesting when it’s a group of humans instead of a boat. No community remains unchanged, because its members will inevitably come and go. It’s as seam-ridden as patchwork, but our ship rebuilds itself. EDM culture as we know it effectively began five years ago, when no one knew exactly how to feel about things. We had survived a presidency that destroyed a century of credibility in eight years. The economy was crumbling. The Millennial generation, those between born 1980-ish and 2000-ish whom Gawker writer Sam Biddle described to me as “self-obsessed teens and twenty-somethings with addictions to social media and entitlement,” were supposed to respond bitterly and flippantly. But Millennials didn't. Music sets a culture’s tenor: the phenomenal explosion of EDM has made the festivalist mentality of post-ironic joy and synergy the underpinning of the pop brain. It makes sense if we feel the Woodstock analogy for a pulse. Nixon’s America had Vietnam; Bush’s had 9/11 and Iraq. For both us and them, a subculture of euphoria promised escape. The audience came and comes to upstate New York and south Florida for harmony, because that’s where the music has promised it would take them. But how far has EDM culture traveled, and under whose piloting? If we look back at the construction and reconstructions of the EDM revolution, we can ask ourselves: Is this still Theseus’ ship? In a letter he wrote last winter for Slate, music journalist Jason King correctly locates the most recent paradigm shift in American pop music: 2007, when “EDM began to displace Dirty South Hip Hop as the creative engine of Top 40 pop.” Billboard charts verify this: In 2005, seven of the 10 biggest songs in the U.S. were by hip-hop artists; four years later, half of the most successful singles were electronic dance tracks—three of which were by converted rappers and hip-hop singers. With a precedent set, a perfect storm of events between 2008 and 2011 managed to fuse an emerging pop music trend with a catalog of DJs who’d learned by listening to rave artists. It really galvanized between late 2010 and early 2011 when, for the first time, March was known as the beginning of festival season. Call it the Synthesizer Spring. Deadmau5 had recently released his explosive album “4x4=12,” introducing the world to dubstep. Subscriptions surged to Sirius XM satellite radio, which offered four distinct electronic music channels. “Radio edits”—eight-or nine-minute tracks that have been whittled in half, keeping only the good stuff—gave poppier artists like David Guetta more commercial utility. And in January 2011, a 22-year-old Swede named Tim Bergling began playing a song called “Levels,” which we would later hear in a Bud Light Platinum commercial during the Super Bowl. Popular culture is a contradiction of terms: A culture is a distinct sphere, while popularity is universality, or close to it. As soon as anything enters the pop mainstream, its success depends on its revenue, which depends on the magnitude of its audience. To maximize your audience, you have to loosen anything that might restrict a culture’s membership—namely certain ideals that gave it cultural status in the first place. By this logic, the idea of EDM as a culture of Peace, Love, Unity, and Respect has been dead since Guetta first released his first Billboard Top 100 single (he’s had 18 since 2007). The whole PLUR mentality proved wonderfully marketable. While mainstreaming warped the essence of the genre, it also commodified the illusion of that original essence—the trance-inducing neon glow sticks, the euphorically outrageous outfits, and one supposedly wonderful powdered drug—to a point where its consumers were blind to how far they’d strayed from the origin. Many of the 300,000 people who went to Ultra Music Festival in Miami this past March were surprised to learn that the event was celebrating its 15th anniversary. The festival, after all, has only existed in its current form since 2011, when, after a decade of relative obscurity and gradual linear growth, it purportedly had an audience of 150,000: 50 percent larger and, with the addition of a third day of music, 50 percent longer than the year before. 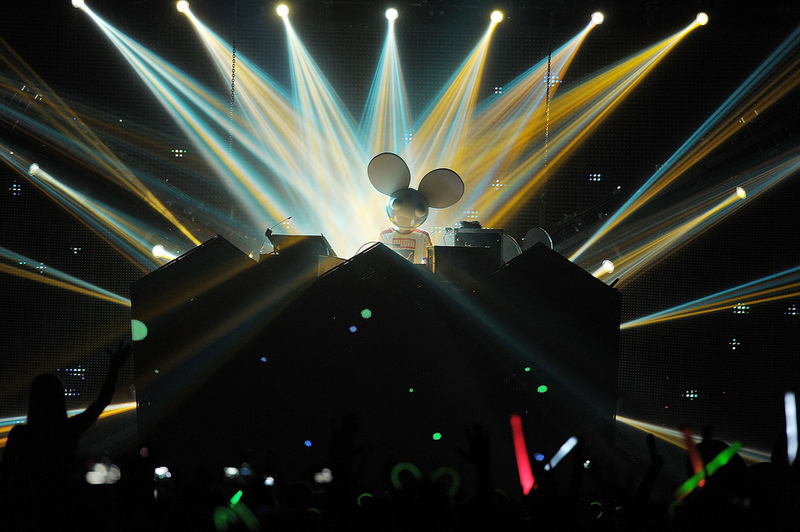 The lineup that year was topped by Guetta and Deadmau5, both of whom had enjoyed recent radio success. The end of March overlapped with high school and college spring breaks across the country, and it was cheaper and quicker to get to Miami than, say, Cancun. Seemingly overnight, Miami had become for dance music what Atlanta and New Orleans had been for hip-hop: the epicenter of one of the biggest genres in the country, with all the accompanying shenanigans and vices. Miami Music Week began with the Winter Music Conference—a semi-exclusive EDM marketing event that operates as the scene’s old boy’s club—and ended with Ultra, when the exodus of young Americans to south Florida brought curiosity to its boiling point: There was the neon, the dancing, the love, of course the music, and there were also the drugs. Even if you weren't rolling by this point, you’d have a hard time neglecting its omnipresence in the scene. The idea of using MDMA had become a key commodity for the electronic music industry. Some of the biggest pop artists of the last decade have clumsily but enthusiastically embraced the new genre, making overt references to Molly in their lyrics. In consequence, MDMA is now to EDM what Ciroc and fat blunts were to mid-2000 rap: substances whose implications paint a picture of the scene. We could laugh if what the poster of that photo was doing wasn't so dangerous: giving credence to the spectrum of myths about MDMA, which range from circumstantially sort of accurate to offensively wrong. Non-users, almost as a rule, seem to have no idea what it is. Halpern is an assistant professor at Harvard Medical School and the director of the Laboratory for Integrative Psychiatry at Boston’s McLean Hospital, where he stands at the forefront of the country’s medical research in psychedelics. He spoke to me from Chicago, where he was attending the Clusterbusters Conference, an annual conversation about the potential hallucinogenic substances have to cure crippling headaches. He emphasized two fatal flaws in the crusade against MDMA: Its “abstinence-only” message (which, he said, “loses the audience of members who are definitely going to use”) and the lack of public information about the true nature of the drug—a consequence of its criminality. Both Halpern and Doblin cited a recent study proving that over half of the MDMA sold on the street contained no MDMA whatsoever. Illegal manufacturers, they say, have few qualms about cutting their product with other cheaper chemicals ranging from ADHD medications to Piperazine, a chemical compound used to treat heartworm in dogs. In 2002, the Partnership at Drugfree.org, which fuels the American anti-drug campaign, launched a $2 million anti-Ecstasy effort, which they credit with facilitating a decline in the drug’s popularity in the early aughts. The agency has thus far failed to respond to their own, far more current data, which said the number of American teens who reported taking Ecstasy or MDMA in the preceding year increased by 67 percent between 2008 and 2011. They’re not clueless: They've publicly acknowledged the relationship between MDMA and music festivals and that people often “don’t know what they’re getting” when they acquire Molly. But their ad writers seem to be struggling to find the right angle. It must be quite difficult, I imagine, to craft a case against a drug that’s been described to me by friends as “a year of therapy in a night.” Unlike other hallucinogens, which Halpern describes as “predictably unpredictable,” there are no bad trips. There’s only the lights and the music, more vivid and symphonic than you've ever experienced, and the people. Your friends become your best friends; your best friends become readers of your soul; the crowd around you is a nucleus of seemingly authentic intimacy. Multiply that crowd by 10,000, give them glow sticks, and you have a festival. The risk isn't in the drug; it’s in the party. Envision yourself, if you will, filled with an insatiable outward energy. If there’s music, you will dance like hell. Envision norepinephrine pushing your heart rate up and the water your body needs to live seeping from your pores as sweat. Envision yourself so euphoric that you neglect your pounding heart or your blistering fever, until, suddenly, it’s too much to ignore, and hyperthermia—an internal temperature of about 107 degrees—begins to shut your organs down. Or, succumbing to polydipsia, you’ll drink enough water to fatally intoxicate yourself. You’ll likely die dancing. Twenty-year-old Danielle, an indigenous Miami girl whose now-deleted Twitter account once saw retweets from the likes of DJ Porter Robinson and @ravegrlproblems, will not go to Ultra next year. She had a hard time explaining exactly why. She’s been among the festival’s masses every year since 2010, if only because “if you’re in Miami and Ultra’s going on… not being there is the worst thing ever,” she told me. Having grown up in the epicenter of American electronic dance music, Danielle—which is not her real name—has had a rocky love affair with the music she first heard as a fifth grader on Miami’s 93.1 WFEZ. Her understanding of the culture is borderline academic. She’ll defend bold theses on the scene’s geopolitics (“Ibiza is where it culminates; Miami is where it generates”) and geocentrism (“if you haven’t played in Miami, you’re no one”). She quickly listed the lineup of her first time at Ultra with an edge of quiet wistfulness: The Bloody Beetroots, Fedde Le Grand, and, in cold contrast, a handful of poppier electronic bands like LMFAO, who were there, she said, to sell tickets to a still-not-huge event. In the three and a half years since her first Ultra experience, she has been to 30 shows or festivals—one every month and a half or so, on average—but none since this past March, when she realized that Ultra had become a mix of “teenagers drinking their dad’s vodka from water bottles” and “fraternity or sorority rush, with groups of 20 girls wearing the same neon tank that they all designed for their spring break trip to Ultra.” About half of the crowd, she estimated, had taken what they thought to be Molly. She said this with an air of condescension. I asked her if she rolled often; she answered my question with her own. 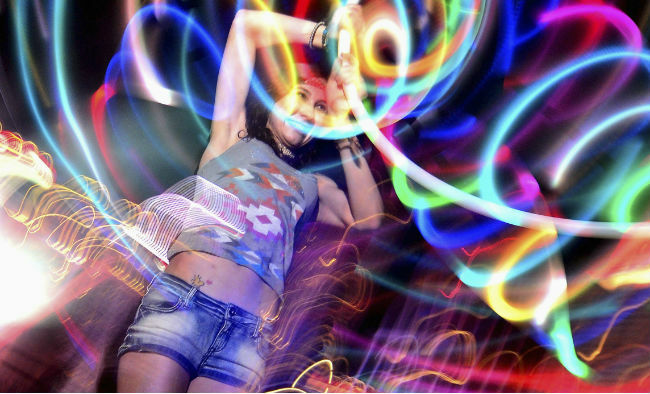 She says three years ago, the drugs were there, along with an electric spirit of unity—“people were exchanging Kandi [colorful rave jewelry] and sharing water”—that has since disintegrated. She isn't sure whether this is because “MDMA” isn't really MDMA, or because thousands are there to simply do drugs, with no regard for the spiritual element of the culture. She told me about one of her oldest friends, whom I’ll call Marco. Marco is a part-time club promoter who quietly sells the drug on the job, adding an unmarked lump of cash to his $33,000 salary. If Ultra continues to grow, its audience will soon outnumber the population of Miami, which Danielle believes will keep the Molly market alive, especially as the price of admission climbs, limiting the crowd to those who have the money. Three years ago, she paid around $150 for a ticket; this past May, the festival announced that the full three days would run at about $400. Because of this, she said, she predicts the festival’s decline, even if drug use remains constant. Former ravers will either be put off by the event’s corporatism or simply unable to afford it. The ship’s boards are all replaced. It is now bigger and more powerful than ever before. Does it still belong to Theseus? It comes down to whom you ask. The neon-clad 17-year-old tweeting about how Olivia Rotondo and Jeffrey Russ killed EZoo would probably say yes. In an essay on the music news website Consequence of Sound, pointedly titled “Why MDMA is destroying EDM,” music promoter Derek Staples argues that the whole PLUR thing has eroded into what he calls SEEP: “Selfishness, Ego, Escape, Prophet”—the traits that Millennials initially seemed to defy. The bitterness towards Electric Zoo’s cancellation grew from a blinding narcissism that is antithetical to the harmony and love of the original festival mentality, and so I say no, Theseus has lost his boat. The custodians of the culture have clearly changed, or at least their treatment of it has, and it’s difficult to identify its central ethos beyond the music’s increasingly superficial lyrics. Meanwhile, the publicity surrounding the tragedy attempts to frame EDM festivals as havens for Molly use, avoiding lessons of responsibility and instead capitalizing on scare tactics. Fearing a decline in ticket sales, festivals will almost certainly respond by imposing stricter security measures, which will in turn see either a decrease in enthusiasm about attending or another public spotlight pointed at the consequences of taking the drug at such events. Just as the hippies went off to college or became soccer moms, the youth who filled Ultra’s Bicentennial Park in March of 2011 will move on. The proprietor of the popular Twitter account @ravegrlproblems is a 23-year-old who goes by Sammy. She grew up in Miami, first saw Tiësto in 2004, and has rolled “too many times to count.” She now lives in New York, and while she still eagerly goes to shows, my conversation with her suggested that part of her had moved on from raving as a fundamental source of identity. In distancing herself from it, she said, she could better satirize it online. For every Sammy, Danielle, and Marco, there are many others in the process of falling out in love with the culture. Those who will inherit its aftermath—the young American teenagers who hear David Guetta on Top 40 radio—will inherit a new scene with only a vague recollection of Peace, Love, Unity, and Respect. We can blame the commercialization of the genre and its emerging negative associations with its decline, sure. But in a more abstract sense, there’s always the possibility that anything built upon an unsustainable premise is doomed from the beginning. Every social experiment in Utopian synergy has collapsed or fundamentally changed, its constituents simply unable to maintain the core ideals because, well, they’re ideals. Dealers at concerts can sell counterfeit MDMA until kids start dying from it, and the sphere of the mainstream can preserve themes and messages until the disintegrating force of popular attention shows that they’re just a facade. EDM will stay on the radio, of course. Kids will ask their parents for tickets to Miami for spring break, and they will still experiment with drugs promised to broaden their horizons. But at the end of the day, they’ll have no real sense of attachment or identity around the movement, until the dust of the revolution’s crumbled axis clears. Miami will be quiet then, or quieter, and neon headbands will gather dust in their closets.